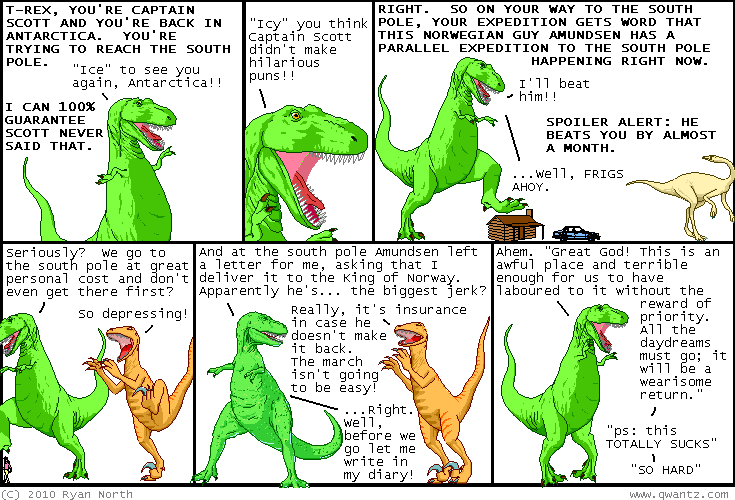 Dinosaur Comics - December 13th, 2010 - awesome fun times! My gonna-be-awesome book launch next week has a Facebook event page! This is so Mark Zuckerberg can know where you are, even if he can't make it.